Help us keep your pet healthy by bringing them in for regular exams and vaccinations. Pets age faster than people, so significant changes in your pet’s health can happen in a short time. Wellness programs allow us to diagnose diseases and conditions early, when they’re easier to treat or manage. Often, we can help prevent diseases entirely, just by ensuring that your pet has received appropriate vaccinations and preventives. We recommend that healthy adult dogs and cats visit us once a year. Puppies, kittens, senior pets, and pets with health issues or illnesses need more frequent checkups. We’ll work with you to create a wellness program, including a vaccination and prevention protocol, for your pet. Call us today to schedule your pet’s wellness exam. Our puppy wellness program is designed to help get your puppy started on the right path to a long and healthy life. 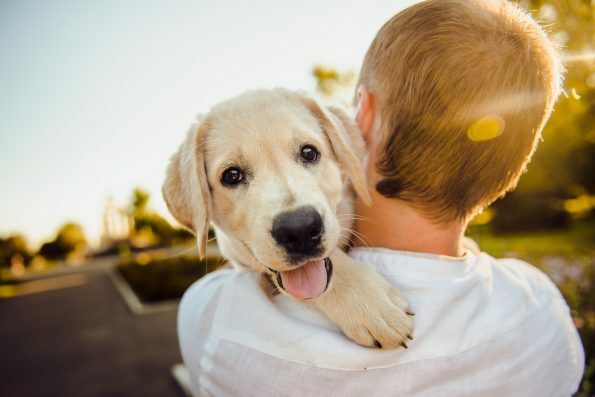 The first few months are a critical period in your puppy’s development, and we can give you the support and tools necessary to help them grow into a well-mannered, healthy dog. We can provide you with the information you need and give you advice on nutrition, training, behaviour, and socialization. Schedule your puppy for their first exam as soon as possible. Until your puppy has received a series of vaccines, they are susceptible to many serious but preventable diseases. We will vaccinate your new dog against rabies, distemper, and parvovirus among other diseases. Your puppy will also need to be tested and treated for parasites, which are common in young dogs. Most puppies have roundworms, which are intestinal worms that can cause vomiting, diarrhea, and other gastrointestinal signs (although dogs can have worms without showing any symptoms). It is important for puppies to be treated for roundworms, not only to rid them of the infection but also to prevent you and the rest of your family from becoming infected. Roundworms are a zoonotic parasite, which means they can be transmitted from pets to people. By ensuring that your puppy is treated, you can keep your entire family safe from these and other parasites. We can’t wait to meet your new puppy! Schedule your appointment today. Our kitten wellness program is designed to help get your kitten started on the right path to a long and healthy life. The first few months are a critical period in your kitten’s development, and we can give you the support and tools necessary to help them grow into a well-mannered, healthy cat. We can provide you with the information you need and give you advice on nutrition, litterbox training, and behaviour. Schedule your kitten for their first exam as soon as possible. Until your kitten has received a series of vaccines, they are susceptible to many serious but preventable diseases. We will vaccinate your new pet against rabies and panleukopenia (distemper). Depending on your cat’s risk, we may also advise vaccinating him or her against other diseases, such as feline leukemia virus (FeLV) and feline immunodeficiency virus (FIV). In addition, your kitten will need to be tested and treated for parasites, which are common in young cats. Most kittens have roundworms, which are intestinal worms that can cause coughing, weight loss, and a potbellied appearance in cats (although they may not cause any symptoms). 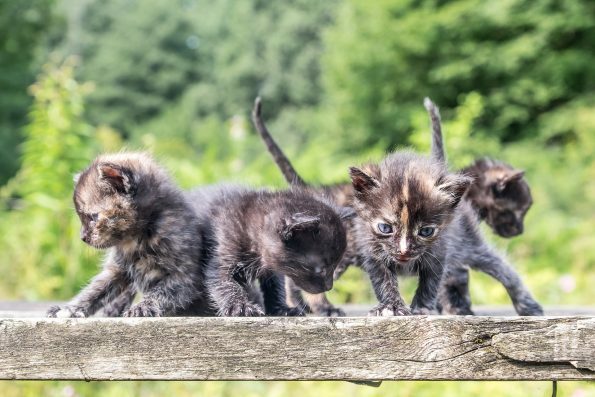 It is important for kittens to be treated for roundworms, not only to help rid them of the infection but also to prevent you and the rest of your family from becoming infected. Roundworms are a zoonotic parasite, which means they can be transmitted from pets to people. By ensuring that your kitten is treated, you can keep your entire family safe. We can’t wait to meet your new kitten! Schedule your appointment today. Help your cherished friend live a long and healthy life! Bringing your pet in for an annual diagnostic and wellness checkups can help reassure you that your dog or cat is healthy. It helps us detect hidden diseases or conditions early and early detection can improve the prognosis of many diseases, keep medical costs down, and help your pet live longer. Many dogs and cats are good at hiding signs that something is wrong, so subtle changes in their health or behaviour might be easy to overlook. And, depending on the disease, some pets don’t show any symptoms. Dogs and cats age quicker than humans, so it is even more crucial for our companion animals to receive regular exams. In addition the risks of arthritis, cancer, diabetes, heart disease, hormone disorders, and kidney and liver problems all increase with age. During your pet’s wellness exam we will perform a physical assessment, checking your dog or cat from nose to tail. We will also make sure your pet receives appropriate vaccinations and preventives. We will perform a diagnostic workup, which may include blood, faecal, and urine tests to check for parasites and underlying diseases. We may also recommend that your pet receive dental care. Please let us know if you’ve noticed any physical or behavioural changes in your pet, as well as any other concerns you might have. If you have any questions about our adult wellness program, please let us know. Call us today to schedule your pet’s annual wellness exam! As dogs and cats get older, they need more attention and special care. Our senior wellness program can help your pet remain fit and healthy as he or she ages. And it help us catch any potential problems earlier, when they’re easier to treat or manage. Regular veterinary exams can actually help your pet live longer! 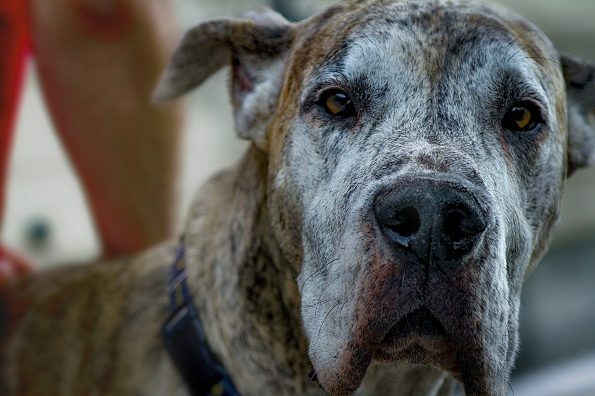 Diagnosing diseases and certain conditions early is important throughout a pet’s life, but it becomes even more critical when your dog or cat enters his or her senior years. The risks of arthritis, cancer, diabetes, heart disease, hormone disorders, kidney and liver problems all increase with age. In addition, dogs and cats may not show any signs of even serious diseases until they are advanced. Before your dog or cat reaches senior status, we recommend that you bring your pet in for a baseline exam and diagnostic workup. This will give us a record of what’s normal for your pet so we can keep track of any changes. In most cases, we suggest this checkup for when your dog turns 7 years of age or your cat turns 8 years of age. Thereafter, your senior pet will benefit from more frequent veterinary exams and diagnostic testing. 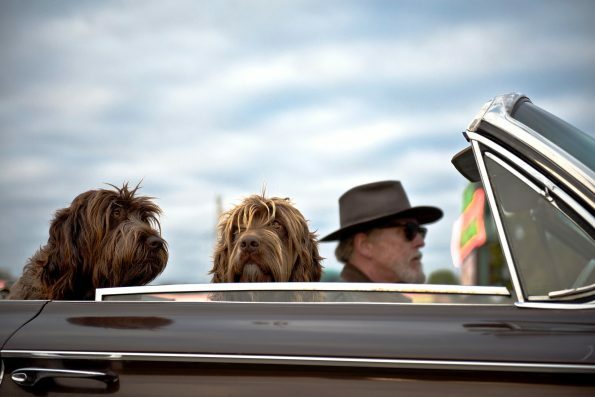 We will tailor a senior wellness plan to your pet’s individual needs. If you have any questions, we can discuss our senior wellness program in more detail. Call us today and schedule your pet’s senior wellness exam!